SMEs in Malawi are preparing to export sunflower oil, peanut butter and chili sauce, amongst others. 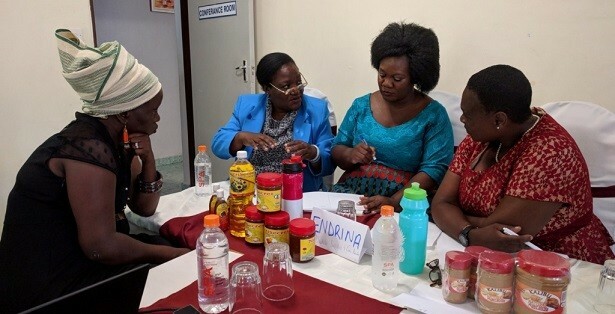 During a workshop in Malawi, our consultant Kasper Kerver presented export opportunities. He challenged the entrepreneurs to make the most of these opportunities by developing a marketing strategy. With this support, entrepreneurs like Endrina in the picture below can scale up their business and generate more income and employment. The workshop was part of a private sector development programme with partners Palladium and the Malawi Investment and Trade Centre (MITC). This programme improves access to markets and finance for SMEs. It also builds capacity of MITC to support private sector development and promote trade.